© Christinadavid.com All rights reserved. 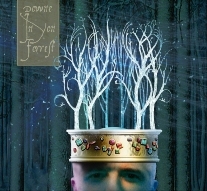 An instrumental, strings-driven album backed by guitar, percussion, mandolin, and more. 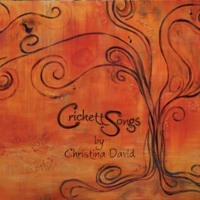 Christina David's debut release strikes the perfect balance with a blend of instrumental ballads, classic hymns, and upbeat, yet pleasingly uncluttered fiddle tunes. Special quantity discount: After your first CD, additional CDs in same transaction are only $8.00. You don't have flash. Sorry but flash is required to hear thesong samples. 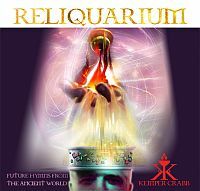 Reliquarium is a collection of post-Reformation hymns rendered beautifully strange in a collision of world-wide stylistic influences all existing in the same musical space. Christina David contributes violin, viola, Erhu, and strings orchestration to this album. The CD can be purchased from kemper Crabb's store. "Downe in Yon Forrest" seeks to present the performances of the greatest Medieval Christmas songs in ways which evoke their popular performance in the Medieval period, yet utilizing both ancient and modern instruments / arrangements, in an attempt to achieve the same service to our audiences that the Medieval street-musicians did: making the ancient lyrics and melodies accessible and enjoyable to the person in the street. Christina David contributes violin to this album. Both the CD and DVD of this live preformance can be purchased from kemper Crabb's store.